In fall the tool had been rejected by an administrator of the Unity Asset Store because they perceived it as a complete tool, which cannot compete with existing packages. 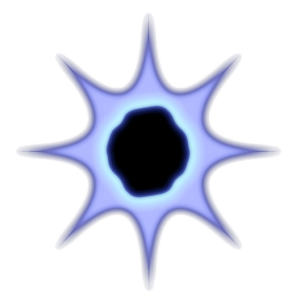 Generated objects with high color variation had too many draw calls and the complete conversion process was taking too much time. After explaining that my extension focuses on the scanning step, that this step is done in a unique way by using the GPU so it would add a matchless feature to the store and that the generator scripts are only examples to show the ability to use it in existing or own frameworks, the administrator advised me to adopt the description, to change the title and maybe to include more examples. I really modified the statement and added a subtitle to underline the main function of the extension. But before I did a lot of work to improve some of the points, which had been criticized. First I tried to implement multi-threading and I could really accelerate the rasterizing by 100% for more complex tasks. Unfortunately sometimes there are errors in the result objects and I did not find the reason up to now. So I removed the option from the inspector but it is still available using an undocumented API command. 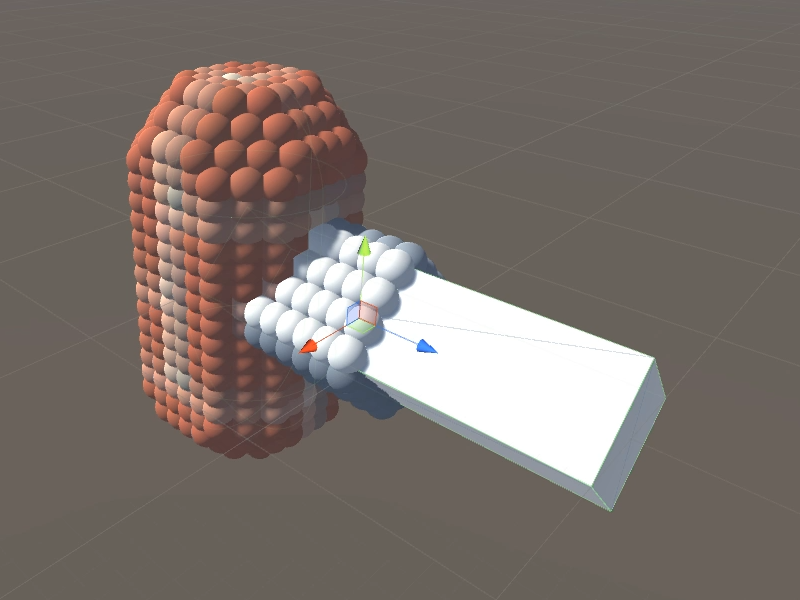 Next I included an iterator to access only filled cells and I changed the mesh processor script to utilize it. 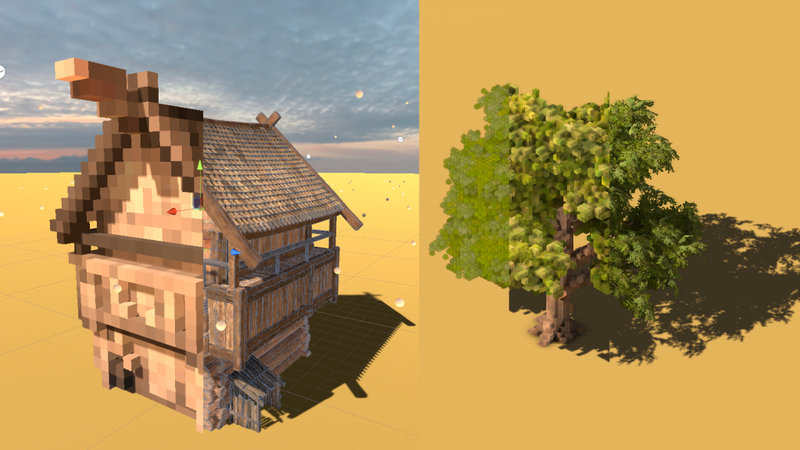 That way I improved the building time for voxel meshes. Moreover I added a new processor class to store coloration data into a 2D texture and implemented options in the mesh script to make use of them. Such data can also be stored per vertex now. Both ways are allowing the merge objects with high color variation much better and so massively reducing the draw calls. Thus I optimized the creation as well as the presentation. As you can see in the manual I refactored the class Voxels.Converter to Voxels.Rasterizer because the former name rather described the whole execution. And I removed Voxel from scripts like Voxels.VoxelMesh so the duplicated labels vanished. I resubmitted the package on Thursday. In fall it took about two weeks to get a rejection notification but this time “Voxel for Unity: Rasterizer” has gone live within a day and can be purchased at the Asset Store now.